The safety and security of family members is not a topic to be approached lightly particularly when that family has a superyacht, prestige homes and a private jet or two. And for the world’s wealthiest individuals, placing trust in someone to protect loved ones can be a risky business in itself. Security has become a hot topic in recent months with the unfortunate rise in home invasions targeting wealthy people – not just celebrities – and threats to their personal security and that of their families. In this week’s Sunday Independent newspaper it was reported that a stalker broke into Lily Allen’s bedroom with the intention of using a deadly weapon. The singer/songwriter admitted the experience has seriously affected her daily life and that of her children. In addition to providing specialist security services to the superyacht industry, Intrepid Risk Management is now in demand to provide a wide spectrum of specialist security services to London’s wealthy elite. These services include security training for the household staff or yacht crew, drugs testing and protection against piracy, theft and abduction. Former Royal Marines Commando and Managing Director of London-based Intrepid Risk Management Ed Hill explains that this is where his global team of security experts who understand the luxury lifestyle can provide individual clients with extra peace of mind. 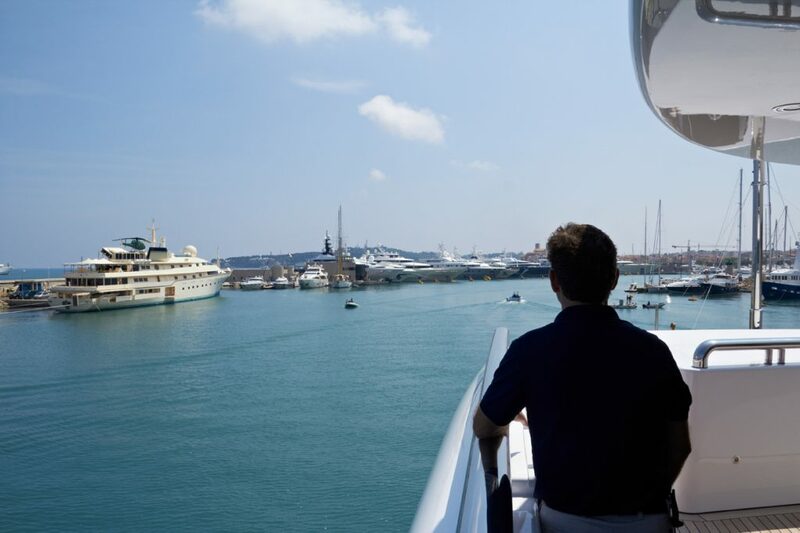 Reflecting on his first superyacht assignment in 2008, Ed explained how security detail has evolved over the last eight years. “During the four week voyage through the Gulf of Aden we had 18 crew members to protect with just two security operatives. At that time you were not allowed firearms on board so we had to make do with whatever was available. We prepared ourselves with distress smoke and flares but not much else, so we had to use our initiative. “Using coiled ropes on the yacht’s sundeck, that could be launched into the water to tangle in the props of any pirate boats that came from the stern was one of the measures we put in place, and the distress flares were very much to hand at all times. Very different indeed from being one of the first waves of troops entering Iraq with the Royal Marines in 2003 with the latest equipment at our disposal. It is training and experience in some of the UK’s elite military units, coupled with a meticulous attention to detail that affords Intrepid Risk Management the ability to understand the etiquette required to work discreetly with high net worth individuals in and away from their homes. Ed personally selects every single team member to ensure they all have what is necessary to meet and exceed what the client expects. Having an exemplary military career and experience in high-risk areas does not always mean you can handle the personal protection of a client and their family, especially if you are all on board a superyacht during a family vacation. Temperament and having the right level of maturity is what counts and all Intrepid Risk representatives have been chosen because they fully understand this. High net worth individuals, their families and assets have long been attractive targets for criminals. Security, however, is an important aspect of ownership that is often overlooked. Ed explains, “For us, it’s all about risk mitigation. Any form of confrontation will, if possible, always be avoided. We’re far removed from the big, burly aggressive stereotype and offer both male and female officers. Its important that the client feels protected but can also carry on with their daily routine unhindered”. “We know, for example, that superyachts are sometimes less secure than other vessels because of the places they frequent, their lower cruising speed and their lower freeboard making it easier for pirates to board. This is where it’s apt to use the phrase ‘know your enemy’. “As part of passage planning for transiting high risk areas, we gather intelligence and once aboard complete a full security survey of the yacht to identify vulnerable areas. We then provide a comprehensive briefing to all crew and carry out drills”. meet and surpass the required security industry standards. Furthermore, all onboard operations are managed and delivered with the added advantage of 24/7 shore based operational cover. Ed will be representing Intrepid Risk Management at The London Yacht, Jet and Prestige Car Show, from 4 – 7 May, at Stand A19. The London Yacht Jet and Prestige Car show held in Old Billingsgate, London each year brings together high net worth individuals and representatives from the superyacht, private aviation, supercar and luxury goods market. To speak with Ed and the team beforehand email info@intrepid-risk.com to arrange an appointment. The FunAir team is excited to exhibit at the Singapore Yacht Show that starts today. Held at the award-winning ONE°15 Marina Club, this exclusive event epitomises luxury lifestyle, bringing together world-class yachts, glamorous parties, high-end entertaining, and an enviable range of prestige products and brands. 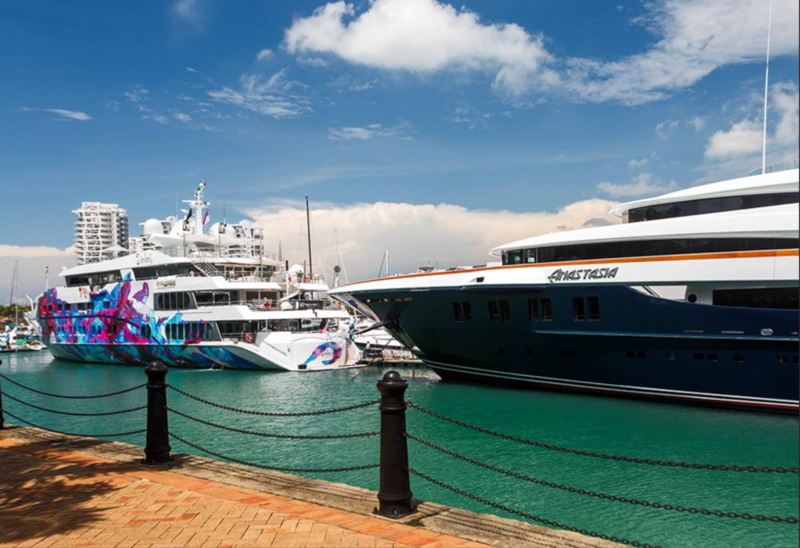 The Singapore Yacht Show provides a first-class platform for the Asian market to meet yachting professionals, boat owners, supercar aficionados and a select group of visitors keen to explore the luxury yachting scene. The Financial Times in its 24 September 2014 edition commented that the Singapore Yacht Show is now the third most important boat show in the world, after only Monaco Yacht Show and Fort Lauderdale International Boat Show, because of the number and quality of visitors and the potential to meet serious buyers. Find FunAir in the East Pavilion opposite the Explorer Lounge at stand K41 where they will be displaying the coveted Chaise lounger from their recently launched Floating Island, and the ever-popular inflatable climbing wall. John Courtney, Managing Director of Yachting and Marine and Autumn Bridwell, Yachting Sales Specialist will be in attendance and welcome you to come and experience the FunAir magic. This will be the third year FunAir has attended the show as the only official inflatable yacht toy company. John Courtney stated, “We work with a number of high profile superyachts who are based out of Singapore and we are looking forward to meeting with existing customers and meeting new clients at the show.